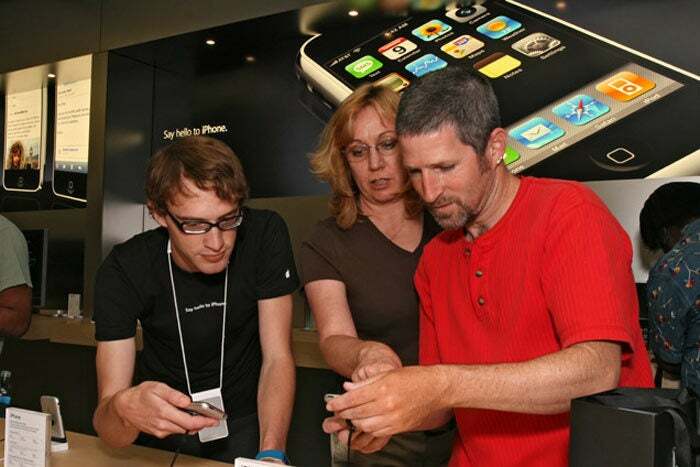 The release of the original iPhone was a major event, drawing thousands of people to Apple stores. 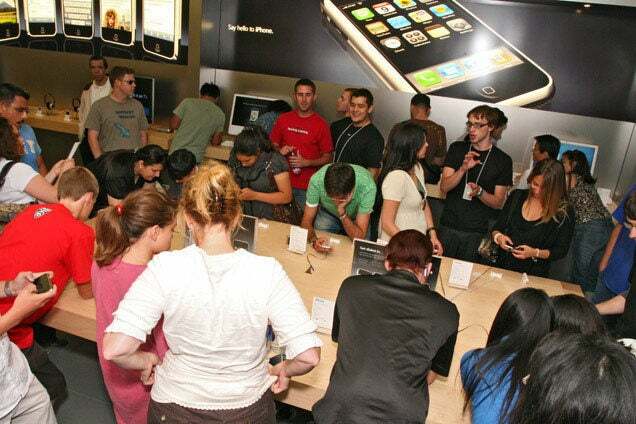 We take a look back at the first iPhone's launch day crowds. 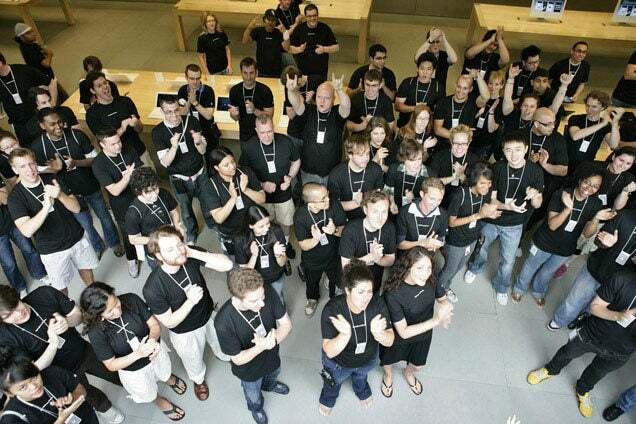 Long lines with hundreds of people at the Apple store were common on June 20, 2007. They all waited excitedly for the new iPhone. Fifth Avenue Apple store in New York City. 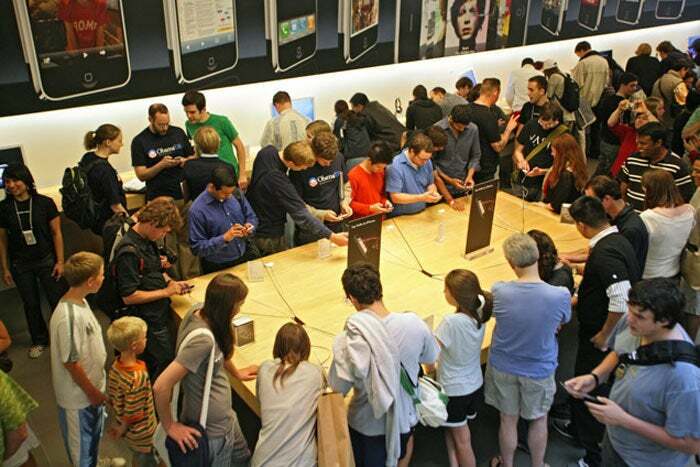 Each Apple store was fully staffed to serve the throngs of customers ready to buy a new iPhone. 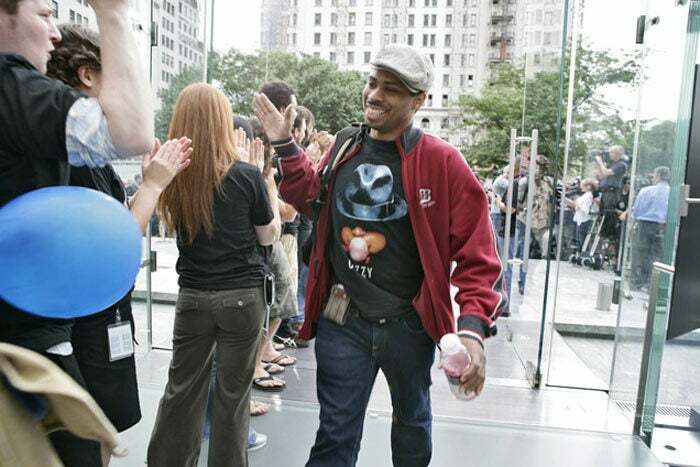 Customers greeted each other—and were greeted by Apple staff—with high fives. Meanwhile, crowds were forming in front of other stores all around the country, just prior to the store opening. North Michigan Avenue store in Chicago. Customers were eager to get their hands on the new iPhone. Fashion Valley store in San Diego. Apple employees answered a lot of questions on iPhone day. Getting a close look at the iPhone. Lincoln Road store in Miami Beach. The media came out in droves to document the event. iPhone owners carried their new gear in special bags to commemorate the event.